Have you seen or heard things about InstaGrowth Boss… and are wondering if it’s perfect for *you*? It's a scary thing, parting ways with your money for an online course. You're unsure if my course content is the right fit for your business. You're worried it's an expense you're never going to earn back. You're scared it's going to be a big waste of your time that you could have otherwise spent growing your business. I get it. I've been there, my friend. I could spend days writing blog post after blog post, filming beautiful IG Stories or creating IGTV vids to tell you about my Instagram course and why it’s the bomb-diggity. But we’re not doing that today. I, Elise, solemnly swear, that I will not be telling you about how great my Instagram course is in this blog post. Because today, we’re doing something a little different; we’re going straight to the source. So without further ado, here are InstaGrowth Boss reviews from real students, talking about how the course has impacted their bottom line and what kind of revenue-generating results they saw. Cara decided to join InstaGrowth Boss in April of 2017 to grow her side hustle project. 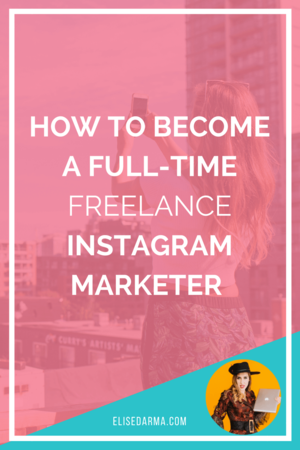 She really wanted to learn about Instagram marketing to grow her side hustle even more… so that she could one day quit her job as an executive assistant. Ahhh, a dream I’m sure many of us have had or currently have! While her side project didn't make her the millions she wanted, it did give her an A-HA! moment. She decided to use the skills she had acquired from InstaGrowth Boss to launch an Instagram marketing agency for real estate agents in Chicago. Fast-forward to the end of 2017 and Cara already had her first few clients. Then, she quit her job of 20 years (WHAT!) and turned her side hustle into a full-time business by January 2018. But guess what? Cara's success doesn't stop there. Within the first quarter of 2018, she had five clients bringing in $9,500 gross revenue. By October of 2018, she hit six figures with her business! Let me just repeat: Um….. what?! That’s over $100,000 in revenue in just 10 months of running her Instagram marketing agency full-time. “My business is Instagram marketing, and I am still taking Elise’s InstaGrowth Boss course because she knows it better! 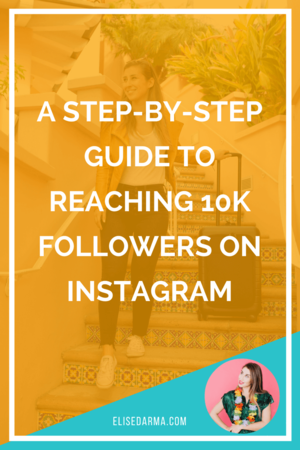 In July 2018, Kate signed up for the InstaGrowth Boss course. As she made her way through the different pillars of training, she started to tweak her profile. Within the first week of signing up for InstaGrowth Boss, Kate landed her first LEAD from Instagram. A potential client was asking for more information about her services. By the end of July, she signed her first official client from Instagram - adding $2,000 to her business! Don’t judge me, but I do a little happy dance every time I get a message like this! 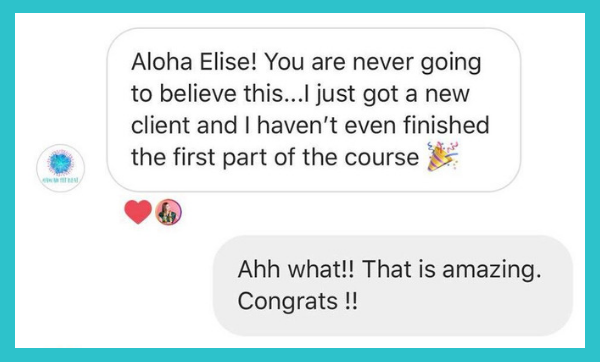 This one client paid for Kate's InstaGrowth Boss tuition more than eight times, and she went on to sign two more clients before the 1st of August! Lillian is one of my first-ever InstaGrowth Boss students — one of the OG members, if you will. At the time of joining the course, she had built her following up to 20,000 followers, but didn't know how to monetize her audience. Her niche? Data science. After taking the course, she grew her account to 30,000 within a couple of months AND made $650 from two promotional posts. But her biggest win was landing a business feature in Glamour Magazine! This feature came as a direct result of her Instagram presence in her super specific niche. 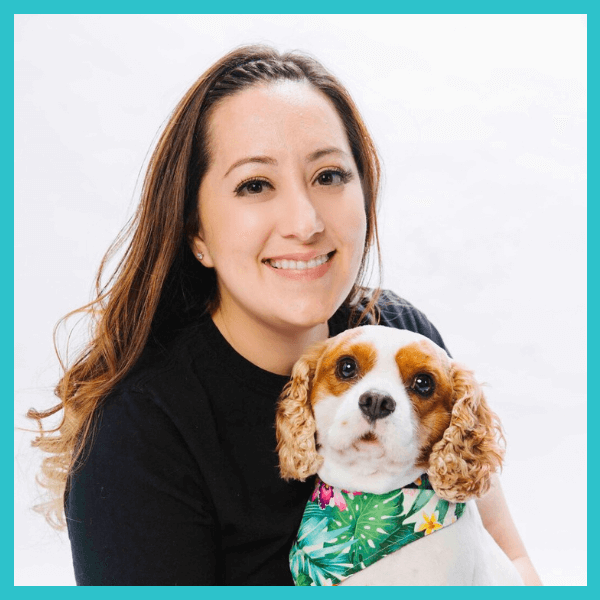 Lillian also landed three new clients through Instagram and got a podcast request from a super high-traffic competitor. How did Lillian achieve all this even while in a super niche category on Instagram? Bertha started her Instagram journey by watching my free workshop with Later back in June of 2018. Afterwards, she decided to purchase my full course, InstaGrowth Boss, and started applying all the tactics laid out in the first module. 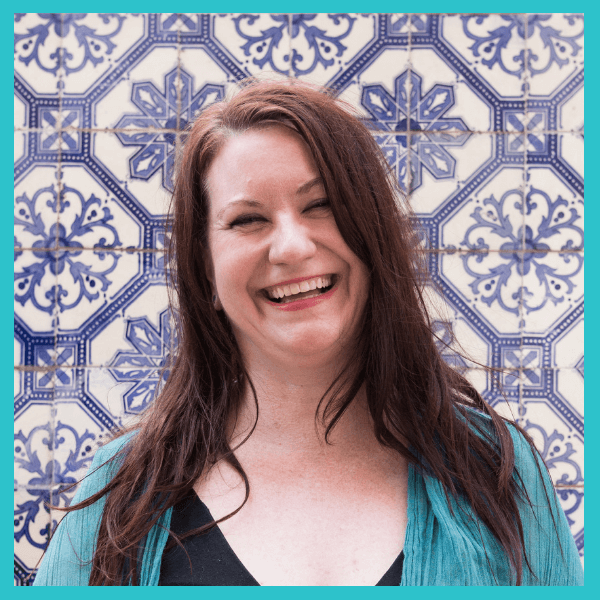 Three weeks later, I got an amazing message from Bertha: she had landed her first client from Instagram — and she hadn't even finished my course yet! By the time September rolled around, Bertha had three paying clients and two more leads she was nurturing — and she still hadn't made it through all of the coursework yet. "I think InstaGrowth Boss is amazing because I've looked at other companies who say they help you put out your own marketing business, but they don't really do it. Their course content is really vague, and they don't give you the tools to help you get started. 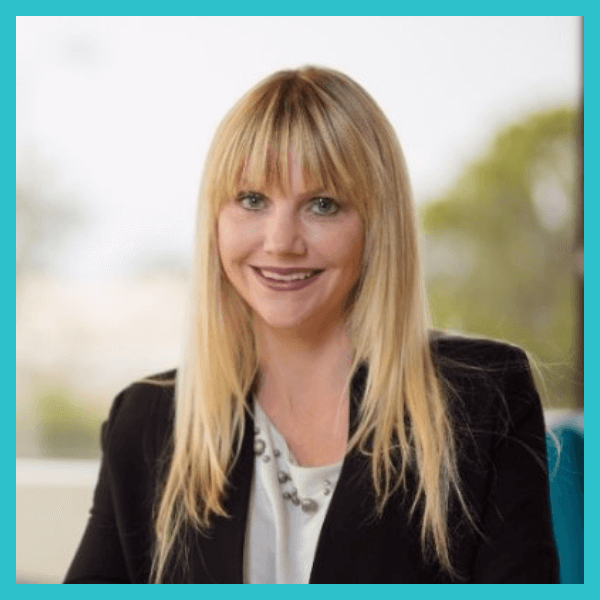 So Elise is hands-down amazing, and she takes you step-by-step to grow your business." Want a free tester of my teaching style and course material? Take my free masterclass, learn three secret tactics to start growing your business via Instagram AND get a sneak peek at how I teach my Instagram students. If you don't see the results you want after implementing the teachings from my free masterclass, you can walk away, FOMO-free. But if you do see results, and you want to learn more about turning your Instagram into a profitable business, then easy peasy: sign up for my full InstaGrowth Boss course and get ready to start bragging about your own results.